Linda Fullman, principal agent of the Fullman & Lawrence Agency, is releasing information on a charity drive to improve outcomes for children in the Longview area from low income families. 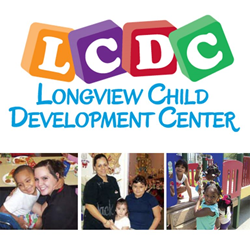 Funds raised during the event will be provided to the Longview Child Development Center. “Join us as we make a difference in our community and improve the lives or these low-income children, together,” said Fullman. The firm is implementing a referral system to help provide all community members with the ability to be part of the charity event. For the next few months, the Fullman team will issue a $10 donation to the Longview Child Development Center for each person referred into the Fullman & Lawrence Agency for a no cost quote on insurance. To find out more about how to support the charity event, readers are invited to visit the following page: http://fullmanlawrence.com/rewards/. As a Personal Finance Representative in Longview, agency owner Linda Fullman knows many local families. Her knowledge and understanding of the people in her community ensures that clients of the Fullman & Lawrence Agency are provided with an outstanding level of service. Linda and her team look forward to helping families protect the things that are most important – family, home, car and more. The Fullman & Lawrence Agency also offers clients a preparation strategy for achieving their financial goals. To contact an expert at the Fullman & Lawrence Agency, visit http://fullmanlawrence.com/ or call (903) 297-8600.